Is there a prettier one block street in all of Park Slope than Montgomery Place? We think it is unparalleled in the neighborhood. We are excited to offer a chance to enjoy life here in an exquisite 2 bedroom co-op apartment. On the 3rd floor of an original one family home, this bright and spacious apartment has it all. Natural light flows in from the many windows throughout. 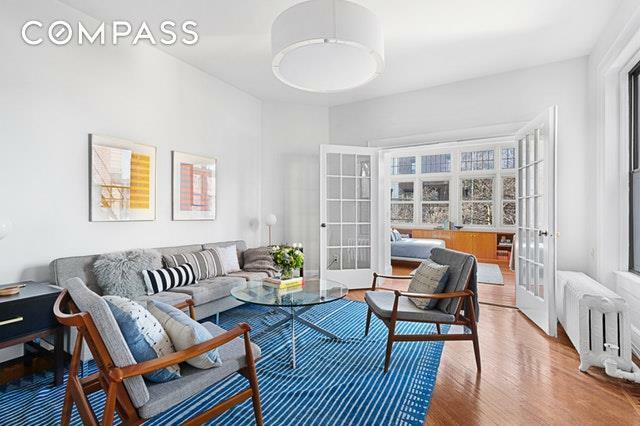 The soaring ceilings, original parquet floors and custom built-ins grace the apartment and create warmth and charm. The front room is a large open space housing the kitchen, a cozy seating area around an original fireplace mantel and a separate alcove for dining. Here you will also find the perfect place to curl up with a book while perched above the treetops. The nook overlooking the streetscape may be the best seat in the house! The master bedroom, situated at the back of the apartment and literally wrapped with windows is stunning and bathed in light. It overlooks the back gardens of Montgomery Place and is a true sanctuary. The second bedroom has an ingeniously built-in bed, desk and book-shelves. The living room separates the bedrooms and is spacious and welcoming.The apartment has 1 bath, and hook-ups for a washer and dryer.Located in a 4 unit co-op with no underlying mortgage this co-op has low monthly costs. 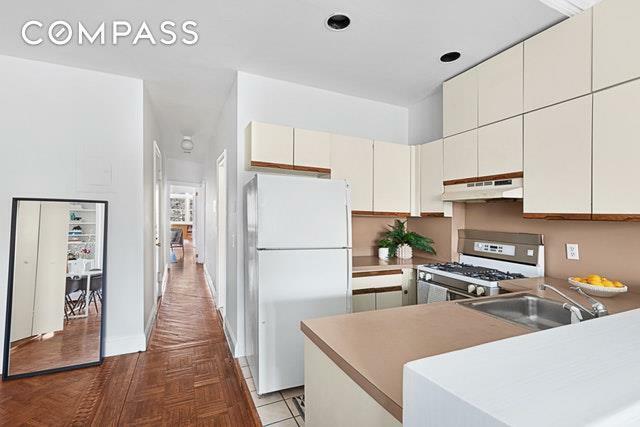 It is perfectly located only half a block from Prospect Park and a short walk to the 2/3/Q/B trains. It is also steps away from the Farmers Market, the Brooklyn Museum and the shops and restaurants along the avenues. Zoned for PS 321. 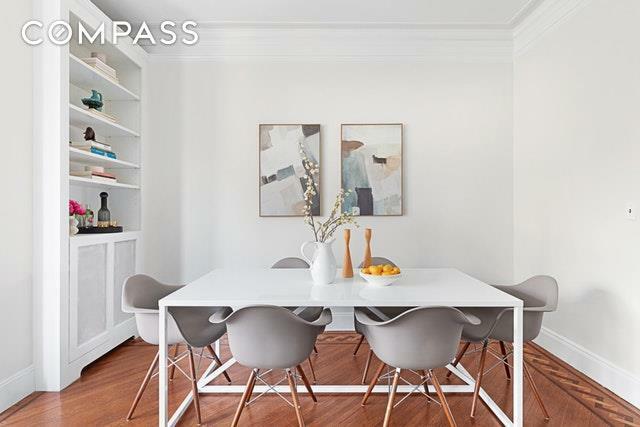 Listing courtesy of Libby Ryan of Compass.